“I went into Deb’s office for a talk,” relates the UBC Thunderbirds’ second-year post of a discussion with head coach Deb Huband, “and she told me to be a beast. She said I need to bring out the beast inside of me. So as the ‘Birds (10-10) head into the second round of Canada West playoffs with their toughest assignment of the season, a best-of-three Canada West quarterfinal on the road against the No. 2 nationally-ranked Regina Cougars (18-2) beginning Thursday (5 p.m., Canada West TV), it will once again fall on the broad shoulders of Filewich to migrate into the paint and be at her old-school best. “She had a strong rookie year (in 2016-17) and she went back home in the off-season and she got better,” says Huband who watched last Friday as Filewich displayed veteran footwork and the ability to marshall all of her physical skills and strength in the low block, shooting 11-of-17 from the field and finishing with 22 points and 11 rebounds, in a 77-73 sudden-elimination conference play-in game win over Lethbridge at War Memorial Gym. There is nothing extremely flashy about Filewich’s game, but in this day in age, that’s not a bad thing. In fact, when was it exactly that efficiency was considered old fashioned? In UBC’s era of national prominence, a period marked by the first of its three Bronze Baby national titles in 2004, you can count on one hand and still have fingers remaining when calculating the number of players who have truly brought a beast-like presence to their job as primary low-post players, or for the sake of old-school verbiage, centres. 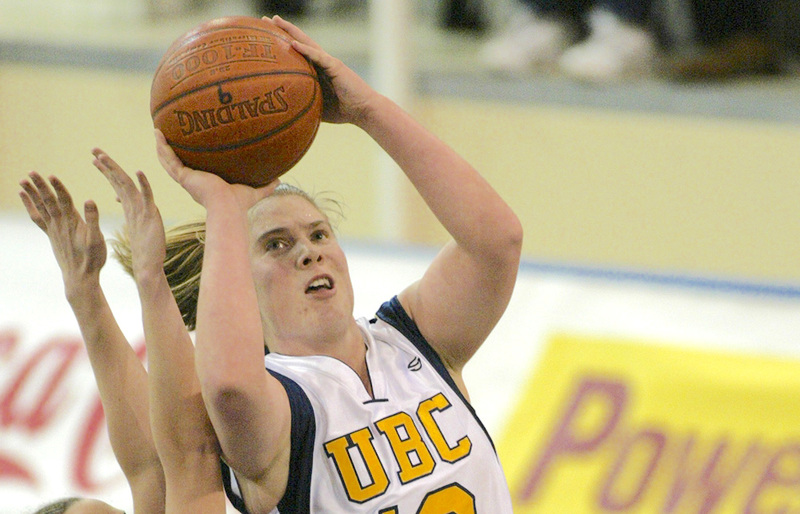 Of course we start with Kelsey Blair, who burst onto the scene freshman-ready in 2002-03 en route to winning CIS national Rookie of the Year honours. And then there was the former Port Moody Blues standout Leanne Evans, now an assistant coach with the Victoria Vikes. Both Blair and Evans had seasons where they were double-figure scorers but also averaged at least 10 rebounds per game. 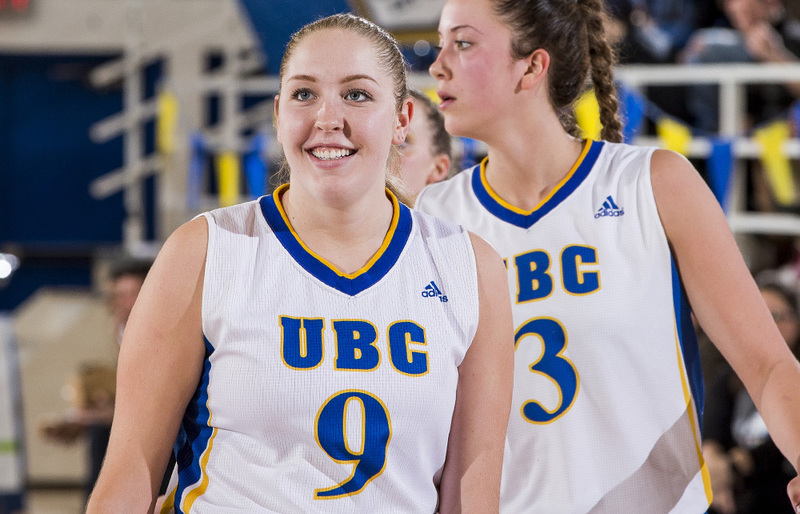 Evans, in her final year with UBC (2008-09), averaged 11.3 points and 10.0 rebounds, while Blair’s final season (2006-07) saw her average 15.7 points and 8.9 rebounds, her caroms down from a school-record 10.4 the season prior. Filewich, in her second season and her first as a starter, averaged 16.2 points and 8.3 rebounds per game this past regular season. Those are the kinds of numbers that make it impossible not to mention Filewich’s name in the same conversation. 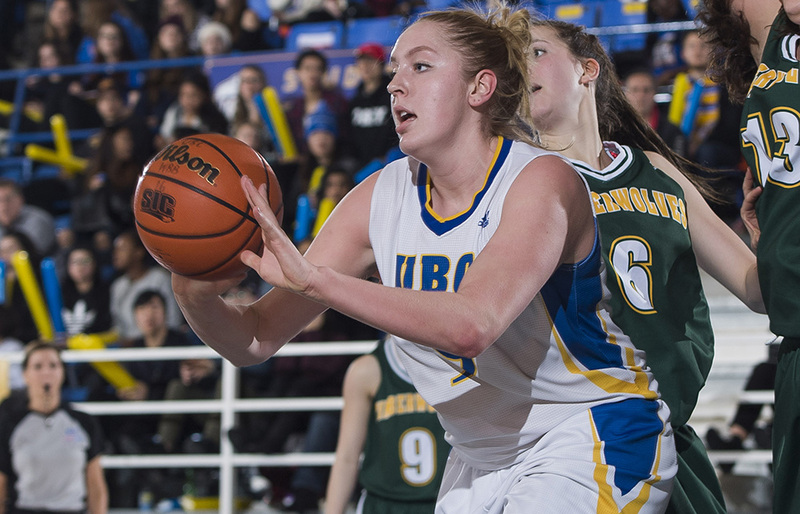 And if you add that fact that UBC has a superbly-talented inside-out, guard-first type in Maddison Penn, who not only scored it at a clip of 18.8 points per game, but finished at 9.9 rebounds per game as well, there is the potential for freakish future success if the program can fortify with enough roster depth over this next two-to-three season window. Filewich headed back home to Manitoba in the off-season as a girl with a plan. She knew the opportunity to become a go-to post was hers if she worked hard, and to play at the top of her game for as many minutes as she thought Huband might want from her, she knew what she had to do. Last season, Filewich averaged 8.7 points and 6.0 rebounds over 17.1 minutes per game. This season, she is third on the team in minutes, sitting just behind Penn and Jessica Hanson at 29.7. And the truest sign that she took her summer assignment seriously has been in the fact that her fourth quarters have been better than her firsts. 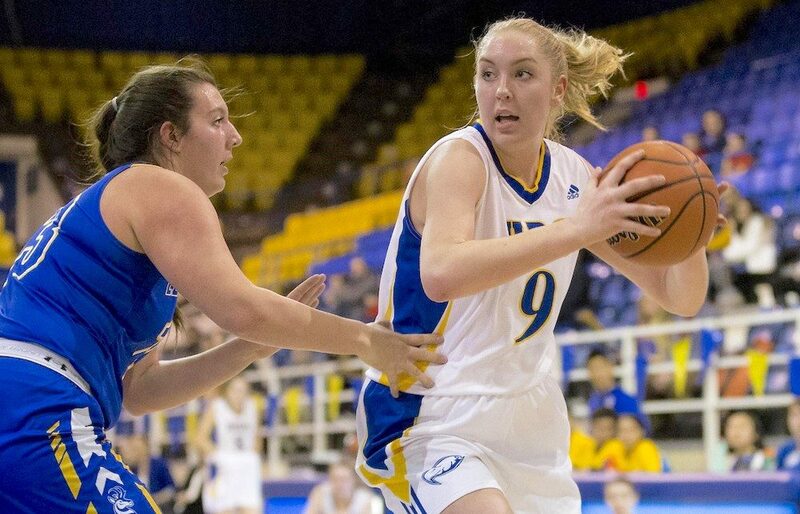 Last Friday, as UBC extended the aggressive nature of its pressing defence, guard Ali Norris was able to procure a number of late thefts and it was Filewich who ran the floor hard with her to function as a finisher. Yet there is a lot more to like about Filewich’s game, one which is infused with a Mikan-esque spirit, featuring plenty of purposeful pivots and up-fakes, and a cache of hook-shots, all with differing release points. Clearly, someone who understood her front-court strengths and the importance of high-percentage shooting got to her early. Not suprisingly, it was her parents — dad Keon and mom Arlyn — whose shared games and first names have been passed on to Keylyn. “I just wanted to leave home,” says Filewich who prepped at Vincent Massey Collegiate and chose UBC over the University of Manitoba, despite the fact that it’s the place where both of her parents played their university basketball. She’s got her history down. And, she vows to keep working on that project Huband has given her.